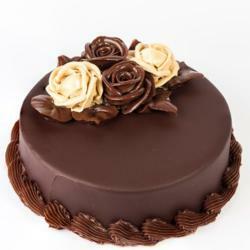 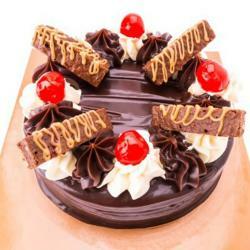 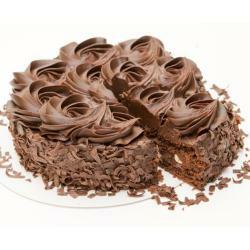 Product Consists :1 Kg Chocolate cheese Cake (Cake Decorations will be made as per availability ingredients it makes a little bit difference as per cake Image). 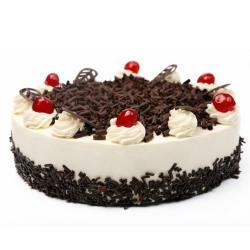 The taste of this Cheese Cake can't be defined in words.You need to taste this cake for understanding its luscious taste.This cake is made of White Vanilla Cream with White Chocolate toppings and cheese chips coated around the sides of the cake. 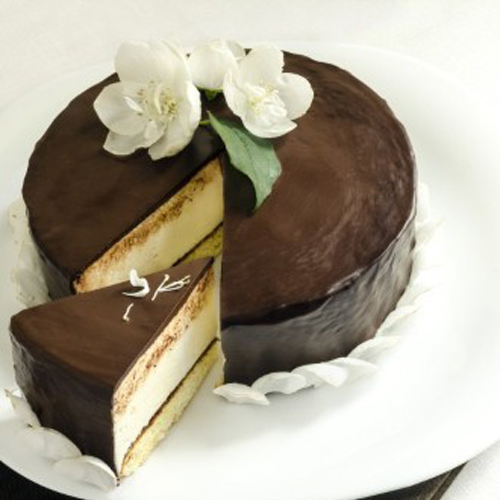 Weight of this cake is 1 Kg so you can gift this delight dessert to your foodie dear ones for the Birthday Bash, Farewell Party,Promotion Party, Anniversary Celebration and for many more.Product Includes: 1 Kg Chocolate Cheese Cake.